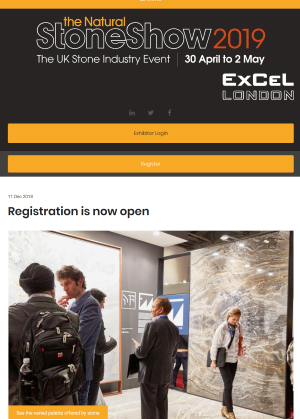 The IHBC will host its regular stand at the Natural Stone Show’s Conservation Area, from 30 April to 2 May, in London’s ExCel, courtesy Historic England, so be sure to visit this free CPD event, while more programme updates are now available. 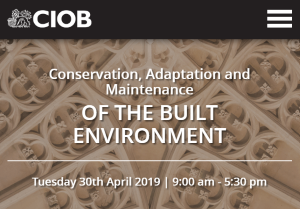 Quality in construction is – quite rightly – under the spotlight, so IHBC trustee and Technical Panel lead Prof John Edwards has made the case in to members of the Chartered Institute of Building (CIOB) that Conservation is driving quality in construction’, in advance of its upcoming conservation conference on 30 April in London. 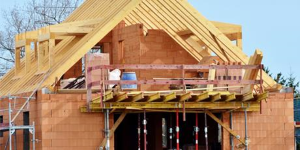 School pupils in one of Edinburgh’s most deprived communities are to be taught construction skills in an initiative aimed at boosting recruitment in the sector, writes Holyrood Magazine. 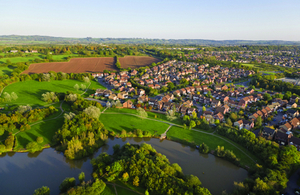 As a built environment discipline, conservation is no less susceptible to adversarial tactics than that sector as a whole – see for example our ‘Ten Red Flags…’ Guidance Note on the IHBC’s ToolBox – while Designing Buildings Wiki (DBW), as host platform for the IHBC’s Conservation Wiki, features guidance on ‘Adversarial behaviour’ for mainstream practitioners that may also offer useful context for IHBC members. 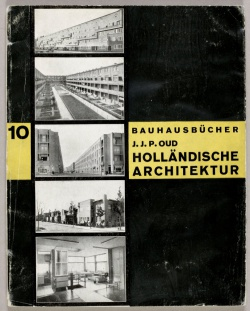 Members can download original Bauhaus books & journals for free, as part of a digital celebration of the founding of the Bauhaus School 100 years ago! 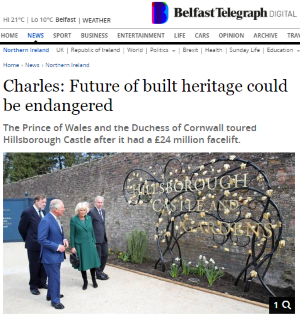 The Prince of Wales and the Duchess of Cornwall toured Hillsborough Castle after it had a £24 million facelift, while the Prince stated that the future of Britain’s built heritage could be endangered by the threat to traditional building craft skills, so a programme within the Prince’s Foundation was aimed at supporting them. 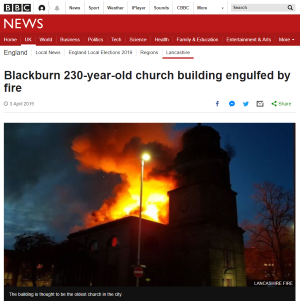 The former Church of St John the Evangelist, Blackburn, now the Bureau Centre for the Arts, has been the subject of a major fire. 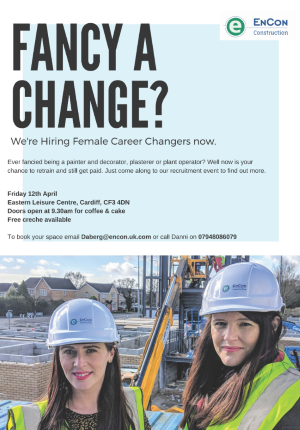 An event aimed at recruiting 20 career-changing women into the construction industry took place recently in Cardiff. 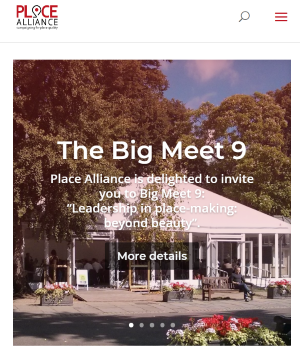 At its Big Meet 9, Place Alliance – the link body for place-based professional and interests – released a guide for decision making about the built environment, supported by the Design Network, and now also seeks feedback on its success via a quick survey. 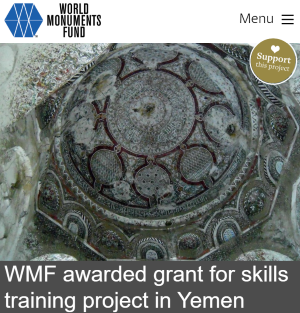 The World Monuments Fund (WMF) and World Monuments Fund Britain have been awarded a British Council grant of £100,000 ($130,000) in support of conservation skills training, post-conflict planning and physical restoration in the historic city of Taiz, Yemen. 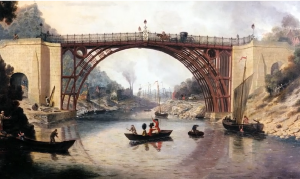 English Heritage’s £3.6 million conservation project to repair and restore the Iron Bridge in Shropshire has been completed and it is now open to the public. CYARK offered a video update on its digital work with the indigenous Polynesian Community. 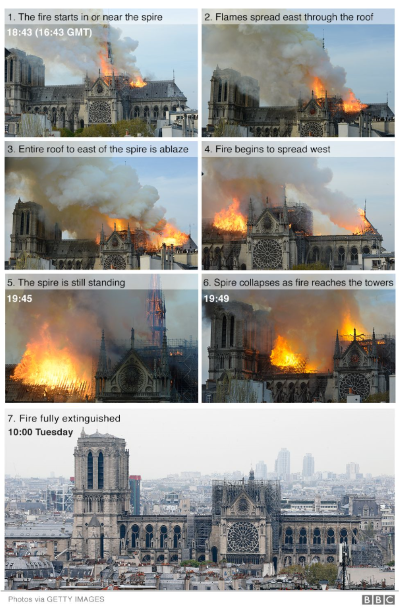 Paris’ Notre-Dame Cathedral, one of Europe’s most celebrated religious buildings, was devastated by a fire Monday night, while its investigation, restoration and reinstatement undoubtedly will be a focus – and touchstone – of conservation philosophies for decades to come. 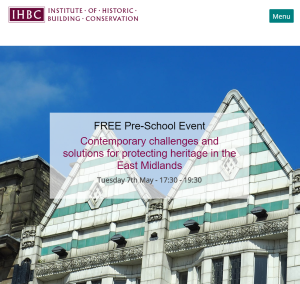 In advance of Nottingham hosting the IHBC’s 2019 Annual School on 4-6 July, the East Midlands Branch is offering a special free event in the city’s Urban Room, exploring ‘Contemporary challenges and solutions’ to protect heritage in the East Midlands, to take place on Tuesday 7 May from 5.30, with new updates now available and booking essential as ever. The IHBC’s heritage business register HESPR – the Historic Environment Service Providers Recognition scheme – emails members weekly ‘News and Tender Alerts’, and the IHBC Director’s top pick for NewsBlog readers this week features a call from the Royal Botanic Gardens at Kew for a condition survey of Wakehurst Mansion, closing 25 April and valued at £65K. 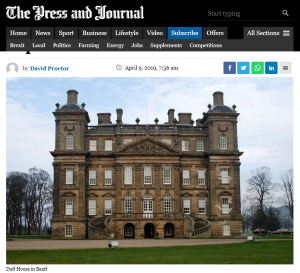 The Press and Journal has reported on talks being held to find the best way to improve Duff House Woodland Parkland, surrounding Duff House in Banff – once part of the estate, but sold off over the years – as the landowners and the council now take responsibility for its upkeep. 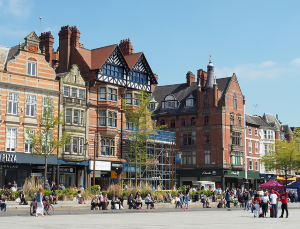 Roger Scruton has been taken off the government panel tasked with building public support for new homes – the ‘Building Better, Building Beautiful’ Commission – because of controversial comments on Islamophobia and antisemitism. 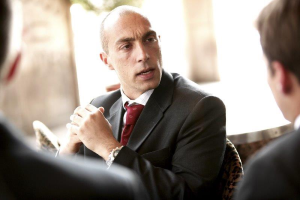 Heads of Planning Scotland (HOPS), who represent officials running planning authorities across the country, has warned that the scale of new responsibilities to be introduced in the Planning Bill could break the back of an already under-resourced system. 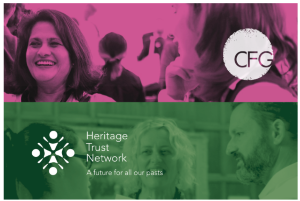 Heritage Trust Network (HTN) has announced its new partnership with Charity Finance Group (CFG), to help its 250+ members across the UK ‘demonstrate their impact and strengthen their strategic financial management’. 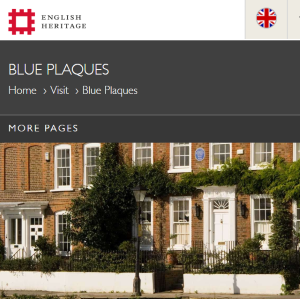 Historic England is seeking new members for various committees and panels, with skills sought to include architectural history, architectural preservation, historic property and estate management and stonework conservation, and various closing dates etc. 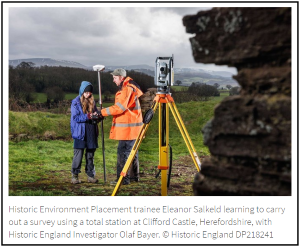 Historic England (HE) has launched new apprenticeships intended to meet the demand for skilled professionals around the country. 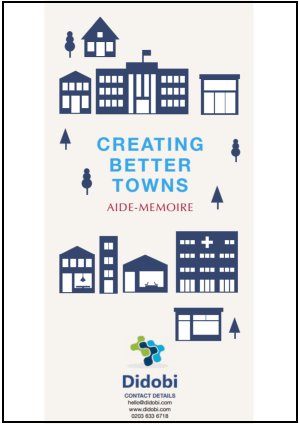 Data firm Didobi has created a widely-welcomed, free and simple aide-memoire for Councils and stakeholders in towns that identifies and clearly defines best practice, methodologies and the key ingredient for ‘Creating Better Towns’. 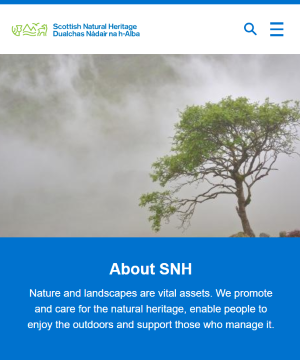 Scottish Natural Heritage (SNH) has welcomed the publication of the Scottish natural capital: Ecosystem Service Accounts, 2019.